The sleek shall inherit the earth. Leadfoot is totally cool under pressure - even as he infiltrates enemy base camps at 180 mph! In race car Mode, he can frighten even the strongest Decepticons because they know it's best to steer clear of his fearsome firepower! He's equipped with alloy-sensitive laser circuitry that defuses enemy radar and enables him to race into battle virtually undetected, then he fires his devastating "rotoprop" weapon to destroy Decepticons in milliseconds! Robot Mode: Generation 2 pioneered the use of ball joints and brought us quite a few very posable robots in its three years. Sadly Leadfoot is not one of them. He's a brick, plain and simple. His posability is restricted to bending his elbows and raising his arms sideways at the shoulders. That's it. The rest of him is immobile. Now I can live with that in the early G1 figures (most of the times), but in 1994 there were better ways to put a figure together properly, so Leadfoot fails in that regard. In terms of look he does okay. He's not spectacular, but he looks good and the yellow-blue paint job suits him well. The nose of the car mode hanging between his legs is mostly because of worn joints, it usually rests against his back better than this. Leadfoot is part of the Rotor-Force, so his weapon is a launcher for a spinning rotor. It still works fine sixteen years later, so no complaints on that front. All in all, though, a below-average robot mode for its time. Alternate Mode: Leadfoot transforms into a mostly yellow F1 race car. The car looks pretty realistic considering its size, at least if you leave off the rotor on top. The Rotor-Force gimmick works in this mode as well, of course, but I've yet to see an F1 racer with a rotor on top. Anyway, there is little more I can say about this car mode. Good, solid, but unspectacular. Remarks: Leadfoot was part of the "new" Decepticons created by Megatron in the G2 comic series by Marvel Comics. He later switched sides and became an Autobot, just in time for Autobots and Decepticons to join forces against the Swarm. He's since appeared in several cameos, the latest being in IDW where he was the first to come upon Galvatron, which was not his lucky day. I got Leadfoot cheap and I like his gimmick, but apart from that he's got little more to offer. 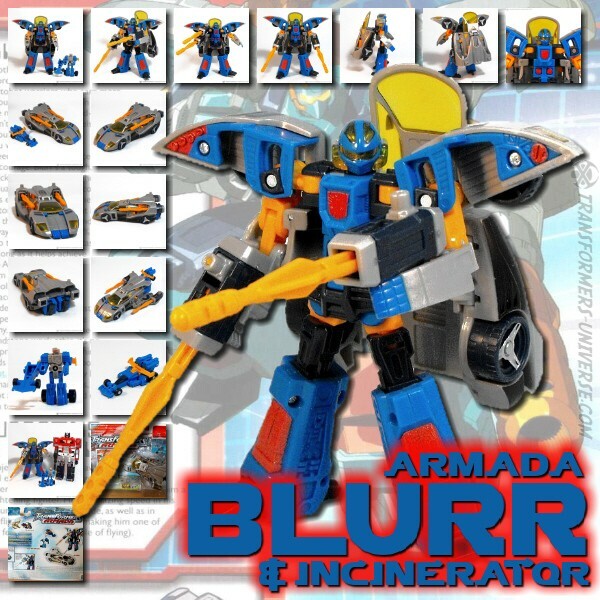 The character's name has recently been recycled for an upcoming Power Core Combiner, but I doubt many fans remember where it originally came from. So the bottom line is: If you get him cheap or as part of a big G2 lot, he's okay, But don't dish out more than a few dollars for him and even then only if you like G2 and/or the Rotor-Force gimmick.